1. Work it for about 12 minutes in the stand mixer and let it rest for about an hour. 3. Cut the dough in half (easier to manage). Open half the dough with a rolling pin in a long rectangular shape. Use half the fat and spread all over the opened dough. 4. Starting with the closest end of the dough to you, start rolling it and stretch as you go along. Keep rolling and stretching until you are left with a long "snake" shape. Then roll into a circular shape. 5. Spread a bit more fat over the dough...cover with plastic or foil and refrigerate until you're ready to use. Hope this helps. 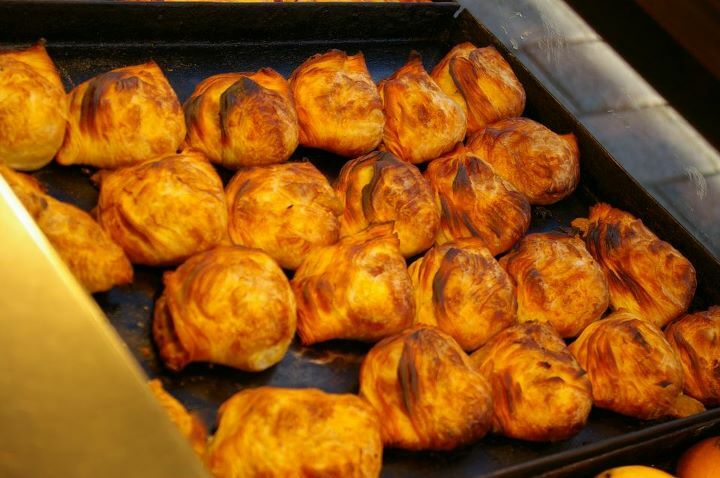 This entry was posted in By Occasion, Party Food, Quick Meal, Recipes and tagged food, Pastizzi, pastry, Recipes, traditional maltese recipes. Bookmark the permalink.